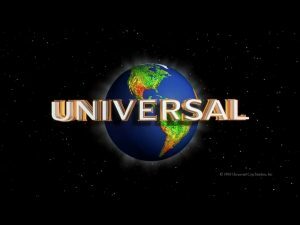 Universal Pictures, which is owned by Comcast (CMCSA), has scored another hit with “Jurassic World: Fallen Kingdom”. The fifth installment in the “Jurassic” franchise, co-produced by Steven Spielberg’s Amblin Entertainment, earned $150 million from opening in 4,475 locations in North America this weekend. The haul exceeded industry projections that the movie would earn between $130 million to $140 million. Jim Orr, head of domestic distribution at Universal, said, “We are obviously thrilled with our opening at the North American box office. We found that we are playing very broadly in all four quadrants.” That’s the second-best ever opening for a Universal release, trailing only “Jurassic World”. It is also the fourth biggest opening of the year, behind “Avengers: Infinity War,” “Black Panther,” and Disney and Pixar’s “Incredibles 2”. The movie also has had a very strong performance overseas. “Fallen Kingdom” took the unconventional route by opening internationally two weeks before its domestic run. The movie’s worldwide gross is now over $700 million, having taken in over $560 million abroad. Of that amount, $380 million came from 3D ticket sales, $105 million from RealD, and $13 million from Imax screens. Three years ago “Jurassic World” gave Universal a surprising record-breaking opening weekend, earning $208.8 million. The 2015 original, which brought the “Jurassic Park” franchise back after 14 years, went on to become one of the highest-grossing films of all time. The “Jurassic Park” franchise has made more than $4.4 billion at the worldwide box office so far. Universal has announced “Jurassic World 3” will open June 11, 2021. The 2018 box office is looking strong, with “Fallen Kingdom” just the latest big opening for a big summer movie release. According to CNN, box office profits are up 6 percent from this time last year. July has more potential hits on the way with Marvel’s “Ant-Man and the Wasp” and Paramount’s “Mission: Impossible – Fallout” opening in theaters next month.